South Korea is touted as the plastic surgery capital of the world, boasting world-class facilities, easy access to doctors, and an actual “Beauty Belt” in the Gangnam district where one street that measures less than one mile has hundreds of plastic surgery clinics. Gangnam is located in Seoul, the capital of South Korea. To date, there are over 500 plastic surgery clinics in this well-known, upscale neighborhood and the number continues to rise. It is estimated that a whopping 20 cosmetic procedures are performed for every 1,000 Koreans, and this figure has been holding steady for a long time now. The roots of South Korea’s plastic surgery craze can be traced to many possible historical turns, but the most concrete ones are: Japanese colonial rule, the Asian Financial Crisis, and in recent years, the Korean pop (Kpop) craze. A component of South Korean nationalism wanted to separate Koreans from the Japanese as well as other Asians, purporting that the Korean body was superior to other Asian ethnicities. The Asian Financial Crisis saw the birth of ultra-competition amongst South Koreans and the culture of lookism, where job applicants strived to put their best headshots on their resumes, as those who looked more attractive in their headshots are considered smarter and more hirable. While global commentators of the phenomenon are quick to say that South Korea’s obsession with plastic surgery is a lamentable Western influence that causes people to want to look Caucasian, a closer look at the actual reasons why people get plastic surgery in the first place would reveal otherwise. Reform surgery has a mostly positive connotation in its native Korean culture. To have reform surgery is to ‘transform to become more beautiful.’ South Koreans avoid referring to plastic surgery as ‘cosmetic surgery’ as the term implies that the changes done to the body are man-made and artificial. Yuqing Wang. 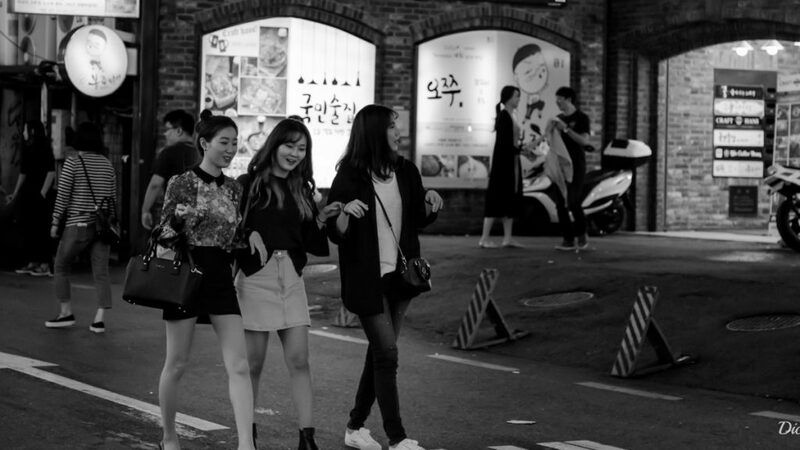 a South Korean researcher from the University of Delaware, also points out that in recent years, the latest generation to go under the knife are under the sway of the most visible personages that represent success in Korean society: Korean pop groups. K-pop images are plastered across Seoul and other cities in the country, and are omnipresent on television and the Internet. Korean pop groups have cult followings online, too, involving millions of dedicated fans and innumerable fandoms. Korean middle school and high school students are continually exposed to beauty standards from K-pop groups, including double-eyelids, slim bodies, big eyes and v-shaped faces. The rise of v-shaped faces was a recent development in South Korean culture, attributed to the continuous idolization of Korean actresses and music idols. The depth of idolization in this country pushes some Koreans to have reform surgery so they can look like their idols. Reform surgery, when viewed from this angle, also becomes a source of short-term happiness, in addition to being a weapon to get ahead in society. According to WhatClinic, the most popular cosmetic procedures being done in South Korea right now are: breast implants, rhinoplasty, eyelid surgery, facelifts, otoplasty, labiaplasty, fat transfer, liposuction, tummy tucks, and gynecomastia surgery. The cost of having cosmetic surgery varies from clinic to clinic, with simpler procedures like rhinoplasty going for $1,000-$5,000 and breast implants for $4,300-$6,000. Minor surgery is extremely easy to come by, with many walk-in clinics accepting patients after a short medical work-up.